Can I lose my house or my car while I am serving in the military? You have a lot to worry about when you are away from home serving your country. You may have left a spouse and kids behind, and you probably left bills that need to be paid. If those bills don’t get paid while you are gone, you should not have to worry about whether the lender will foreclose on your house or repossess your car or other property. The Servicemember Civil Relief Act (SCRA), offers some protections to prevent this from happening; however, it is not a get out of jail free card. When you borrow money to buy something, the lender often reserves the right to take the property back if you fail to make payments on the loan. 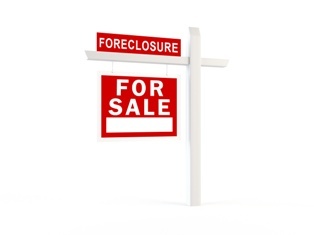 With a home loan, this is known as foreclosure. Repossession occurs most often with cars. In California, both of these actions can be taken without filing suit to get a court order. However, as an active-duty servicemember, you will have an extra level of protection to prevent this from happening. How Does the SCRA Protect Me? While you are still subject to foreclosure or repossession if you default on a loan, as an active-duty member of the military, the creditor cannot just take your home or your car with no notice. Instead, he must file a lawsuit to get an order from a judge in order to take the property. This process could give you enough time to work things out with the creditor so you can keep your house or your car. This protection only applies if you purchased the property and made at least one payment on it before entering active duty service. How Can A Military Consumer Protection Attorney Help? If your SCRA rights were violated and your property was taken without a court order, call me to take legal action against the creditor or repossession service. You may not only get your property back, but you might be awarded financial damages for any losses you suffered. Don’t be pushed around by creditors while you are serving our country. I am a Marine myself and I know what you’re going through. Contact me online or call me directly at 855.982.2400 if you think your rights may have been violated. ?Can I hire my own lawyer to fight my military housing landlord? ?What should I do if I find mold in my military base housing? ?Why is base legal refusing to help me with my housing issue?